A Pacific Northwest native, Monique moved to Washington in 1995 after growing up in Portland, OR. Monique's interest in animal behavior and training began when she was a young child. Her first dog, Baby, taught Monique a deep abiding respect for the intelligence of animals. Together, Baby and Monique learned obedience, basic tracking, scent discrimination, article discrimination and tricks such as riding a bicycle. Through fun, play and positive methods, this team became a success together. Later, Monique went on to apprentice with a local trainer and then enter the veterinary industry as a veterinary assistant. Pursuing extensive continuing education in training and animal behavior, Monique began offering private consultations in the Seattle area in 1997. In 1999, Teaching Animals was founded. 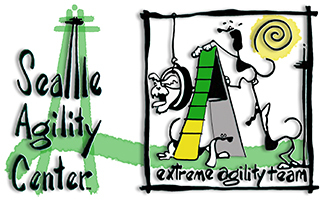 Monique began offering in-home consultations for pets and their owners, as well as group classes for dogs and owners at Seattle Agility Center. In 2001, Monique passed her national and state board exams and was licensed veterinary technician in Washington. Since 2001, she has been participating in veterinary behavior consultations in the hospital setting. In 2011, Monique was certified as a Veterinary Technician Specialist in Behavior, one of only 11 such specialists in the world. She is a former president of the Society of Veterinary Behavior Technicians and the current president of the Academy of Veterinary Behavior Technicians, which is the governing body for VTS Certification. Monique speaks extensively around the United States on topics related to behavior, humane and practical veterinary care, reducing stress and fear in the veterinary setting, safe handling of dogs and cats in the hospital, and how to make behavior a part of every veterinary practice. She also travels to veterinary clinics, offering in-clinic education for veterinary teams around the country. Monique's "heart dog" came to her in 1997 as a 2-day-old stray from the animal shelter. Paddy was a reservation puppy from a feral mother. In spite of being bottle raised by people, and without mentor dogs, Paddy developed an incredibly effective and subtle suite of dog communication behaviors. This suite of behaviors combined with her deep and abiding friendship with Monique allowed this team to work together with clients' dog-aggressive and dog-reactive pets for nearly 13 years. Paddy was also Monique's first agility dog, and a class favorite demonstration dog in obedience for many years. Monique trains and competes with her own dogs in obedience, RallyO, agility and stockdog events. She enjoys coaching pet owners and performance dog handlers through their journey together toward a cooperative and meaningful relationship where handler and animal can each take on the role of both learner and teacher. When not working with clients and patients, Monique volunteered for 10 years with PAWS Wildlife Center, participating in rehabilitation and release into the wild for native species. She also logged 12 years of service with Aussie Rescue Placement Helpline and Seattle Purebred Dog Rescue evaluating, fostering and rehabilitating dogs, matching dogs with their new forever families, and training other volunteers. She shares her home with 3 dogs, 1 cat, an African Grey parrot and a wonderfully understanding and supportive husband. Her dearly departed partners, Magick, Allie and the widely-loved Paddy live on in the hearts of their many friends.